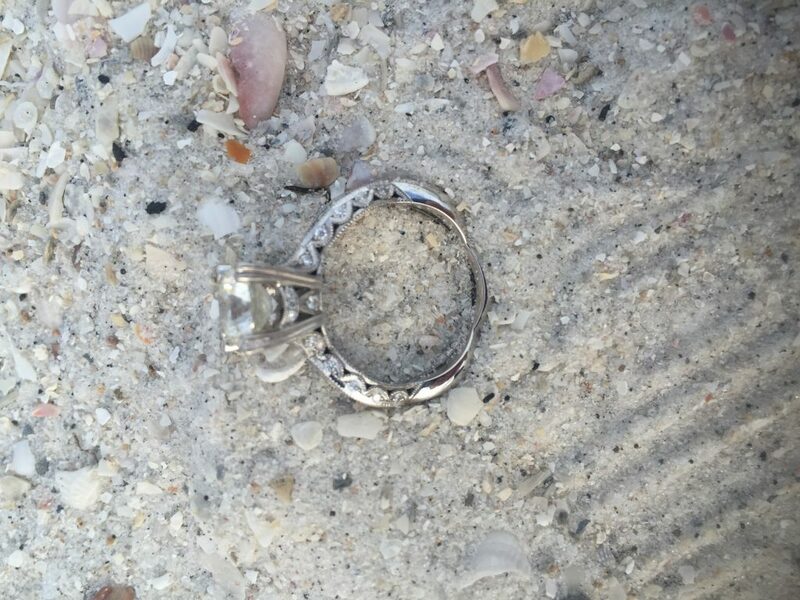 The young married couple from Kenosha, Wisconsin were vacationing on beautiful Treasure Island on Saturday, May 20th when Pavel, realized he lost his wedding ring in the water. Fortunately, he made a mental note of where he thought it fell off. 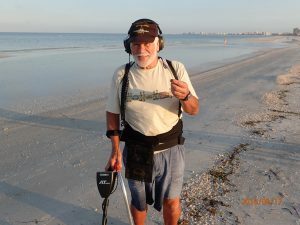 Pavel Googled “metal detectors” on the Internet and found SRARC. 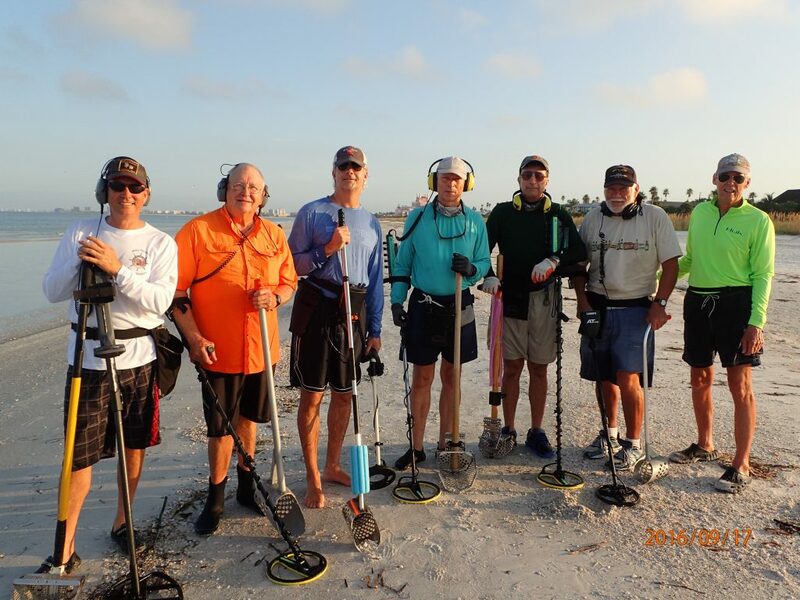 Team Member Stan Flack coordinated a ring hunt with members Bill Gallant and Mark Sillence. 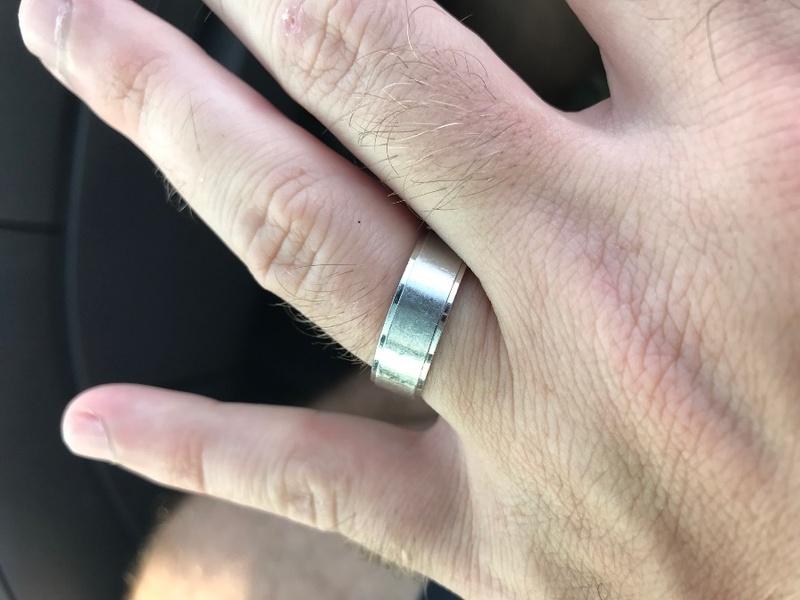 It took about two minutes and Stan came up with the ring! Pavel and his wife, Ilona were very relieved and appreciative for the return! ❤Wishing the young couple many more happy times together! Austin and his mother were visiting his brother in Florida from Flint, Michigan. 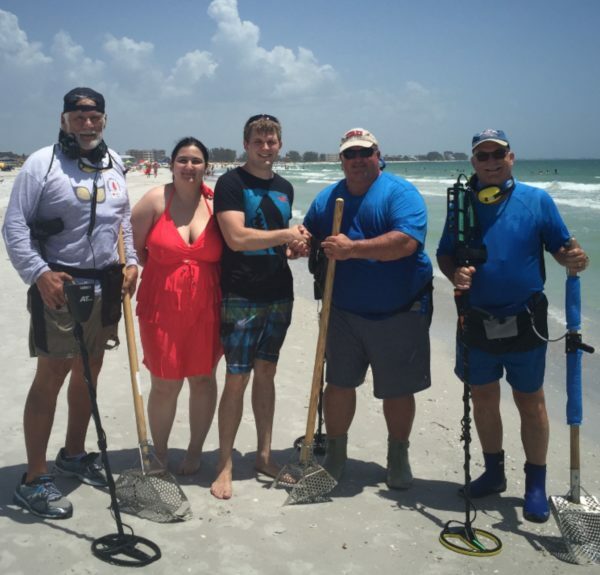 They all went to Pass A Grille and set up a canopy near the water for a fun day at the beach. 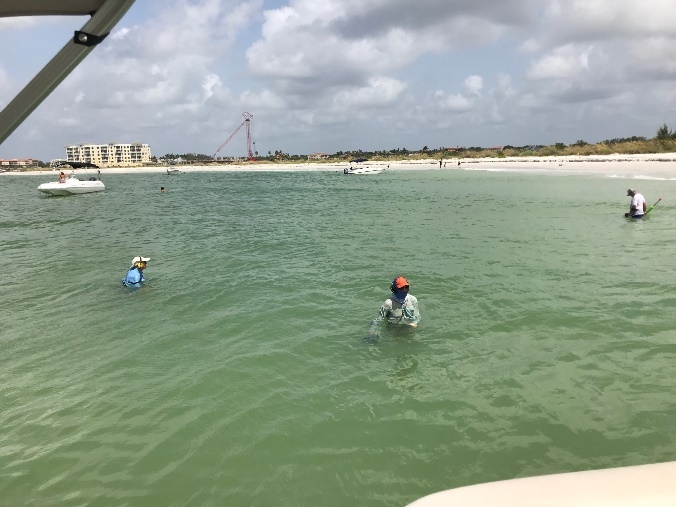 Shortly after arriving they went into the water and as they enjoyed the warm gulf water temperature, Austin sat down in about neck deep water. As he was sitting he felt a shell in the sand, picked it up and threw it toward the shore. 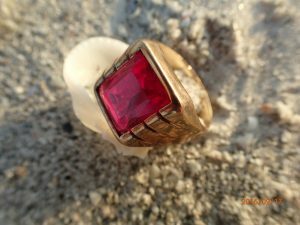 As the shell headed to shore so did Austin’s precious ruby ring. They all searched for hours but with no luck. The ring was his grandfathers which was given to his grandfather by his grandfathers mother when he had turned 18. His grandfather wore the ring everyday of his life until he chipped the original ruby. At that time, one of his daughters (Austin’s Aunt) had the ruby replaced for him and he put the ring back on and wore it for the rest of his life. 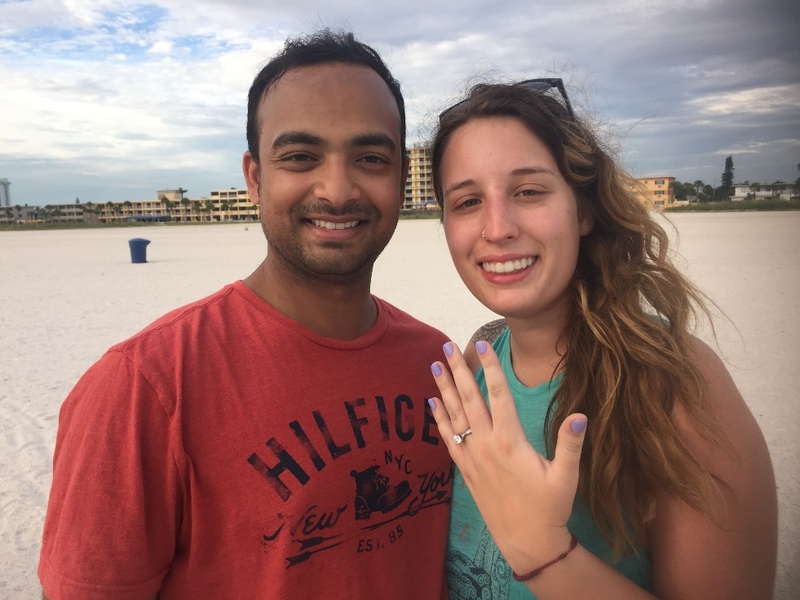 The Family is not sure what the significance of the ring was but they do know that both of his parents had worn ruby rings. For Austin’s 18th birthday just last July his grandmother gave him the ring as a birthday present. Not only is the ring significant in his families history it is also Austin’s birthstone. 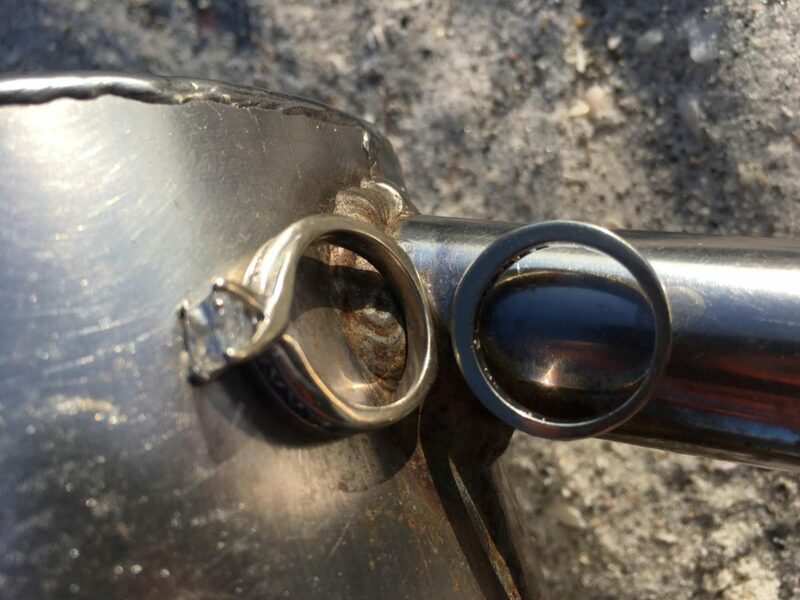 The ring is approximately 61 years old. 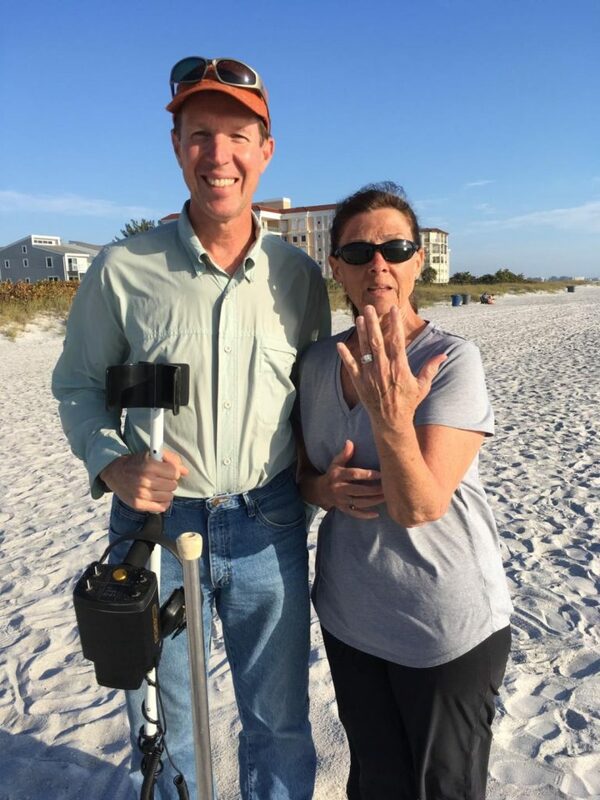 About 8 days after he lost it, Austin found SRARC Ring Finders and contacted Tom Jones. A hunt date was established and Paul Hill, Ed Osmar, Dimitur Alipiev, Mark Sillence, Howard Metts, Jeffery Miller, Mike Miller, and Bill Gallant showed up for the hunt. 13 minutes later Bill held up the ring and said “I think I found it”. Awesome job Bill and a big “Thank You” to all who helped on this recovery. SRARC is very happy to have been a part in returning this important piece of history to Austin’s family.